Consumers still flock to Microsoft, with its Surface computing range a huge hit thanks to its versatility and power. Its laptops are famed for their touchscreens and use of Microsoft Ink pencil makes them as versatile as an artist’s easel, with all the modern functionality and speed you need. Then there’s the phenomenal Xbox, one of the most powerful games consoles in the world and available with exclusive franchises including Forza, Gears of War and Halo. For affordable technology for work, pleasure and family use, Microsoft is still number 1! How do I use my Microsoft promo code? Check out Microsoft’s sales page here! Can I get a student discount with Microsoft? You sure can, check out Microsoft’s student page here. Can I recycle with Microsoft? Yes, Microsoft will take back an equivalent product for recycling for every product purchased within 30 days of delivery. More details here. Contact weee@microsoft.com to organise takeback. You can return your purchase within 30 days of receipt to receive an exchange or refund. Item must be in original conditions and packaging. Some exceptions apply. Contact customer services and then send product back, including a covering note identifying reasons for return. Full policy here. Microsoft has lead the way in popularising computing, introducing hardware and software that helped to make computers more mainstream in the late 20th century, and notebooks, tablets and smartphones that have changed the game in the 21st. Shop with a Microsoft promo code from vouchercloud and your Surface laptop or PC, Lumia phone or XBOX console could come to less than you think, getting you user-friendly cutting edge technology for less. Microsoft leads the way in terms of world-beating apps to supercharge your tech experience. Always featuring a load of handy programmes as standard, you’ll have access to the full range of applications from AppSource and App Store, some of which have been formulated especially for Microsoft software such as Office365, others that are not Microsoft specific but still work brilliantly on this format. Your Microsoft hardware can take you to new places with the amazing apps on offer! Microsoft Surface is the company’s newest laptop, tablet and PC range that brings unrivalled functionality and innovation into your home, office or on the move. 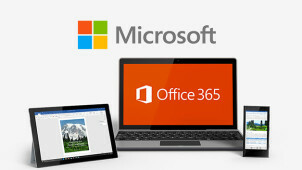 With different models meeting different needs, this is truly the pinnacle of Microsoft’s output and using a Microsoft discount code can take you into the future for less. With its hi-res PixelSense Display, next generation Intel Core processor, increased speed for professional software and much more, choosing Surface means truly unlocking your potential.